Here we are then, the 2018 edition of the Survivor Series is now officially in the record books. Taking place at Los Angeles’ Staples Center, the event was largely based around the Raw brand going up against the SmackDown brand. Or, y’know, Stephanie McMahon vs Shane McMahon – because you’ve gotta get those McMahon's front ‘n’ centre, right? Seemingly, a major PPV wouldn’t be a major PPV without it having some sort of involvement from a list one McMahon. As it would happen, Raw would dominate the Blue Brand, claiming a 6-0 decimation when all was said and done. Well, unless you count the pre-show win for SmackDown in the many, many, many-man tag match, but let’s face it, who really counts the pre-show these days? Whilst some WWE PPVs *cough* Crown Jewel *cough* have been awful in the past few months, Survivor Series was, for the most part, a good show. Even with the Raw brand winning out in every match, the PPV still came off as engaging and entertaining for the majority of its runtime. Sure, there were some so-so matches, but there were also some fantastic matches, too. With all of that in mind, then, let’s take a look at the 5 biggest winners now that Survivor Series is in our rear-view mirror. 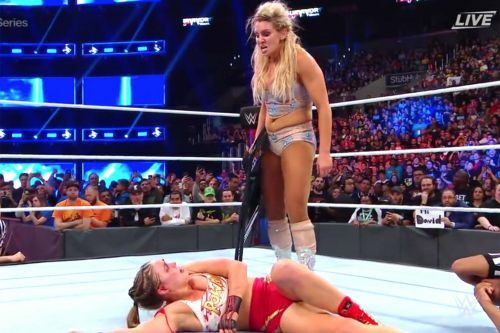 Sure, a good chunk of Charlotte Flair’s match against Ronda Rousey saw fans chanting for Becky Lynch, but still, by the time all was said and done, The Queen’s stock had massively risen once she’d finished with Rousey. Flair would end up losing the bout via DQ after assaulting Ronda with a kendo stick, then continuing her assault even further by bringing a steel chair into play. And that, dear readers, is when Charlotte received the shot in the arm that she’s so desperately been in need of over the past several months. Let’s face it, the seven-time Women’s Champion has lost a whole lot of steam, particular in how WWE creative bungled her feud with Becky Lynch. Going up against Becky right now was an unenviable slot for Flair, largely due to how WWE continued to reinforce Charlotte as the babyface and Lynch as the heel – something that many vocal fans were against. Added to this, if we’re all honest with ourselves, Charlotte Flair is far, far more effective as a cocky, vicious heel. By the time that her Survivor Series match was over, Charlotte had turned heel, yet was actually getting some notable cheers from those in attendance. On both fronts, at least getting a strong reaction is something for Flair right now, and even more encouraging is that much-needed heel turn.